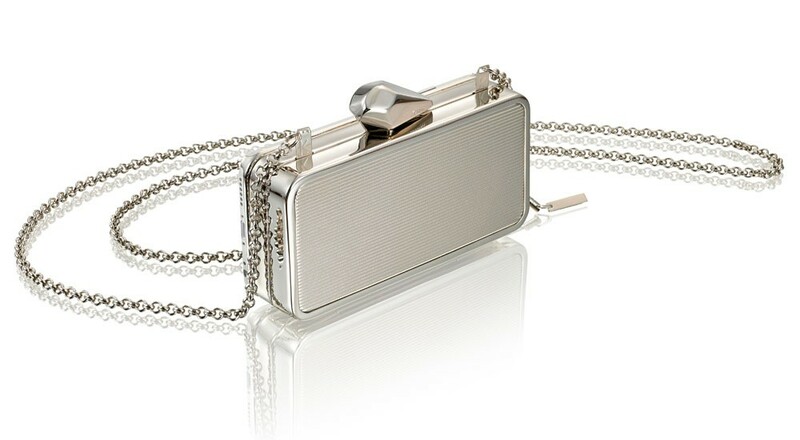 #getsmartbag is a patented and multifunctional embossed stripe silver minaudiere tailored for iPhone 6. 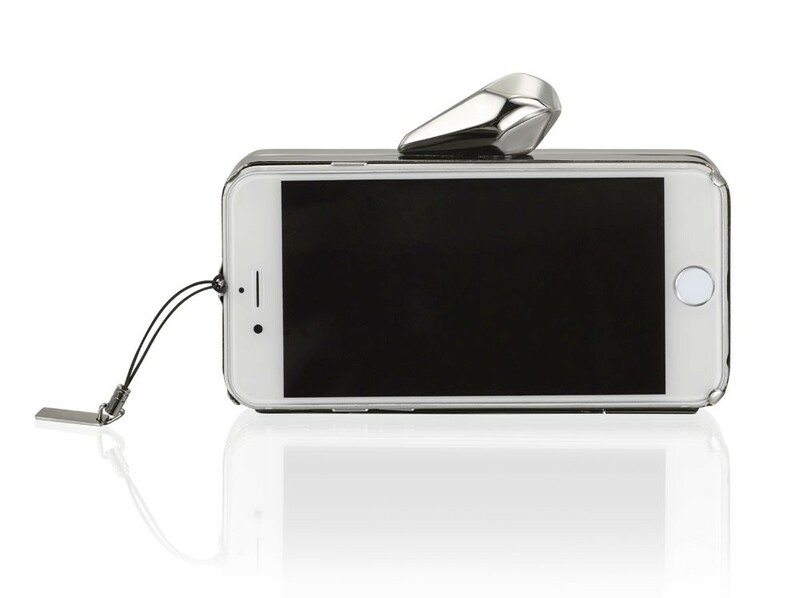 The patented design of the #getsmartbag clips in your iPhone 6 securely and enables you to use your phone, send messages, browse your favorite apps and even place a call without ever opening your bag. Furthermore, the flip panel enables you to take a picture, from either front or rear camera, without taking your phone out of your bag. 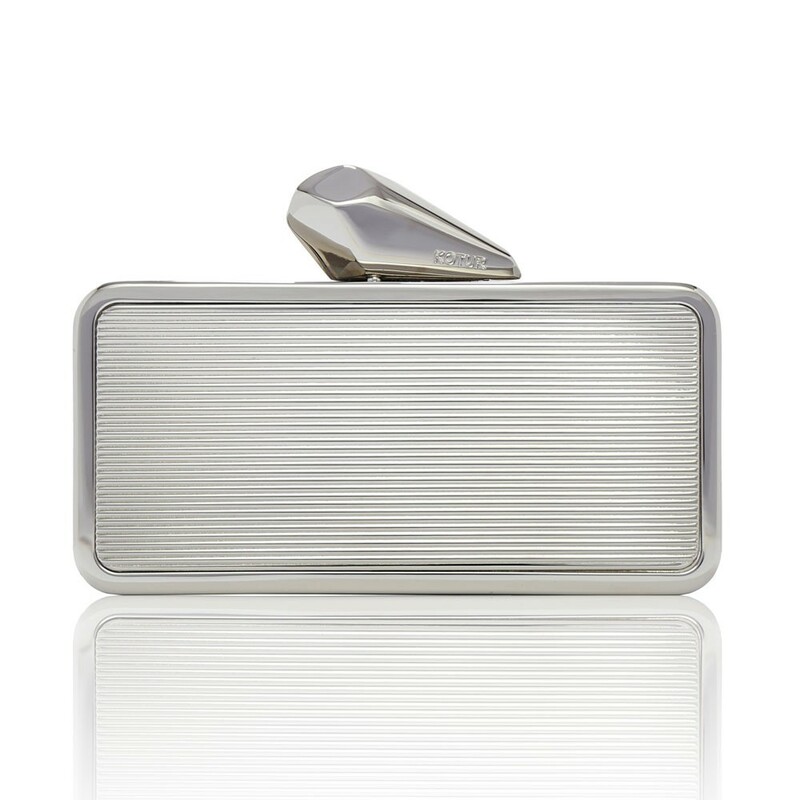 This petite hybrid minaudiere silver case and embossed stripes silver will hold everything you need, including your lipstick, credit card and your iphone 6. 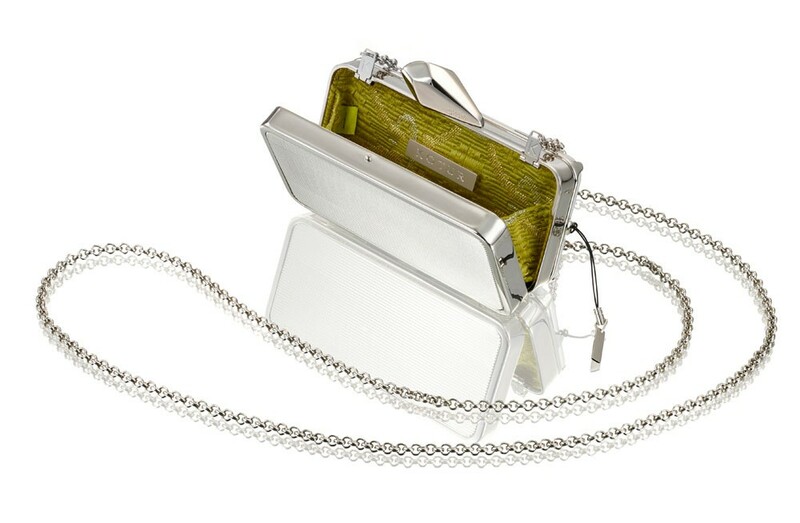 It features a hidden cross body drop-in chain. This model is only compatible with iphone 6 (NOT iphone 6 plus).